Have technology advancements in fleet management made using a fleet management company (FMC) nearly obsolete? Fleet management can be complex, and the prior notion was to outsource tasks and decisions. Some of the reasons included a lack of expertise in-house, the size of the fleet, the type of fleet and potential cost savings. Large FMCs advocated that they could manage your fleet better than your organization could. However, by outsourcing fleet management, you are at the mercy of the FMC’s decisions, and you can lose the in-house knowledge (and data) to challenge the decisions that are being made on your behalf. On the surface, outsourcing your fleet management may relieve short term pain but may end up costing you more in the long run. The services FMCs offer can now be handled by fleet management software at a much lower cost. With fleet management software, you can effectively manage your fleet in-house and have direct access to important fuel, telematics and maintenance data through easy-to-use software integrations. These integrations also improve your fleet operations by significantly reducing the amount of manual data entry that needs to be done. Your data should not be held hostage and should always be accessible in real time. 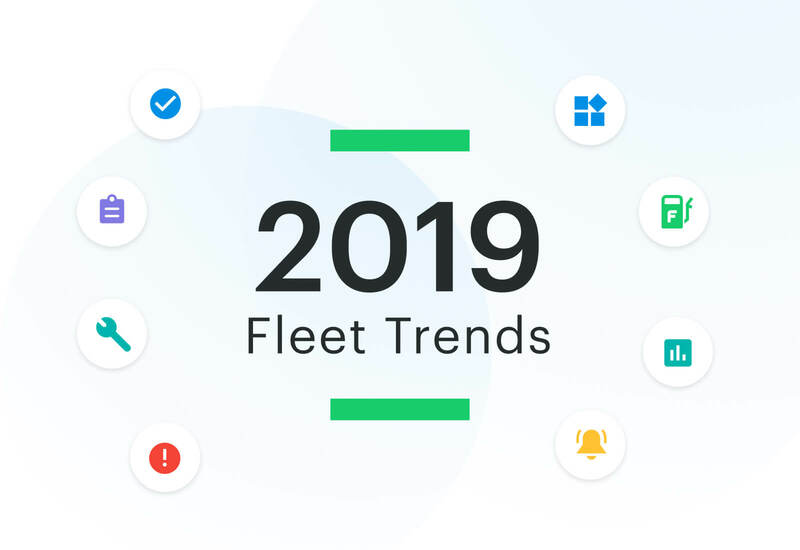 If you haven’t already, now is the time to evaluate how you manage your fleet and prepare for the future of fleet management. Often times FMCs provide you monthly or quarterly reports on how your fleet is performing. These reports are often high level and lack necessary details. They are really just a report of things that have happened in the past. This information then gets shared by email or in a meeting with leadership at an organization. This process does not allow for proactive fleet management or any type of collaboration within an organization. Today, an FMC will tell you they are proactively managing your fleet. They do this through a call center that is making decisions on your behalf. For example, an FMC will often try to save you money and may choose the cheapest tires to put on your vehicle. These cheaper tires will most likely need to be replaced sooner, costing the fleet more in tires over the life of the vehicle. With real-time access to your data, your organization can collaborate, make decisions and track why a decision was made and learn from those decisions. By having all the details about your fleet in one place, you can use that data for exception management, benchmark how each vehicle is performing against other vehicles in the fleet and help someone who is not an industry expert make data-driven decisions. Why would you let someone else make decisions for you on one of the largest expenses your business has, managing your fleet? In layman’s terms, an API (application programming interface) allows a piece of software to interact with another piece of software. A common use case for an API would be to push your fleet data into another system (like an ERP or accounting system) or pull data into your fleet software. Are you getting a weekly or monthly data dump from an FMC and having to build processes to import that data? Using an API integration would prevent this. Real-time access to your fleet data can be very valuable, and while capturing this may seem like a monumental task, it’s fairly simple. Proper fleet management software can integrate with other products, giving you a single place to get all of the information about your fleet. Integrations can also eliminate manual data entry which saves you time and money. Some of the most popular integrations are GPS, telematics, fleet fuel cards, recalls and maintenance shops. One of the most valuable for any fleet is a maintenance shop integration. This allows a fleet to pull service record data from companies like Firestone, Tires Plus, Monro, Pep Boys and independent shops automatically into their fleet software with line item level details. The list of integrations will grow over time as we see vehicle connectivity grow. We are already seeing embedded telematics on brand new vehicles, and this just scratches the surface of what information will be available from connected vehicles in the future. Why wait to take advantage of your data? Mobility and convenience are two critical components in today’s world. Since fleets are mobile by nature, it only makes sense that the way you manage your fleet should also be mobile based. Having the ability to access and update information from anywhere is a true difference maker that technology offers fleets. For example, a driver vehicle inspections report (DVIR) completed on a smartphone instead of paper provides a better experience for a fleet driver and operational efficiencies for the company. 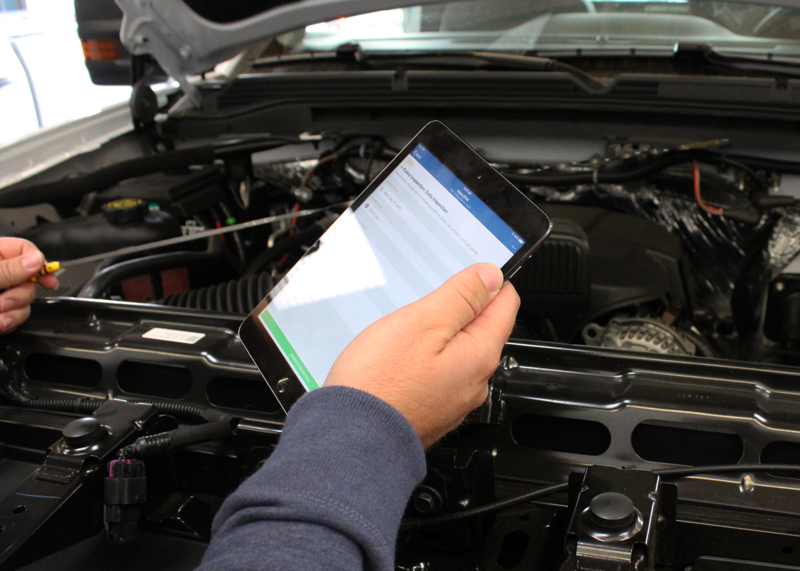 Performing a vehicle inspection on a smartphone saves time because vehicle information can be pre-populated rather than manually entered every time. Letting the fleet driver take photos and add notes is an easy way to communicate issues without having to go back to the office to drop off paper logs and explain where there are issues. This also eliminates manual data entry, providing time savings for the company and giving the person managing the fleet immediate access to the inspections to ensure the company vehicles are safe on the road. When you add the fact that you can automate workflows and be alerted when an issue is found on a vehicle and track that issue all the way to a verified resolution, mobile inspections become a very powerful tool for a fleet. The list of benefits of having mobile access to fleet information is long, but one of the largest benefits surrounds driver satisfaction. Today, finding and keeping quality drivers can be challenging for many businesses with fleets, so why not use mobile tools to help keep your fleet drivers happy? For example, giving drivers easy access to a shop directory to locate a shop and get service performed makes their job easier and will make sure their vehicle maintenance stays current, preventing breakdown and saving the company money in the long run. Technology continues to advance many industries and fleet management is no exception. Old business models will be no longer relevant in the near future, mainly driven by customer demand for transparency around fleet costs and real-time access to data. This truly is an exciting time to be in the fleet industry. Try using a fleet management software like Fleetio Manage that can automate processes, track vital data and help you make informed decisions. 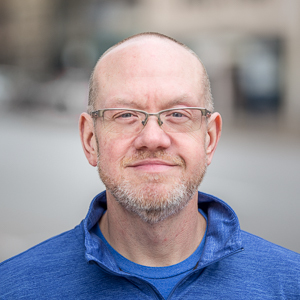 Greg Mattes is the Director of Strategy at Fleetio.